Sandi Meadows Carlson’s mother was placed on hospice care after she was told she had six weeks left to live. Comfort Care Hospice of Brewton took care of Sandi’s mother and walk hand in hand with their family during this difficult time. Below, Sandi tells her story. It was a beautiful summer day by all accounts. The sun was shining brightly and the sky was brilliant blue. Blue is exactly what we were feeling standing in the hallway of the hospital right outside of my mom’s room. But, not the blue that makes you smile as you look heavenward. The news the doctor was giving us was not what we wanted to hear, and yet we already knew; six weeks to live at most. How had it come to this? We were so hopeful and had prayed so hard. We believed and stayed positive. But, sometimes, what you hope and pray for is just not what’s meant to be. And so we stood there like statues in the cold hallway, hearing the faint chirping of machines that were helping sustain life to many, trying our best to give our attention to the doctor as he went on with medical terminology about mom’s condition. But, we were not without hope. We are long time believers and we knew that we would see her again someday. But the present reality seemed daunting. How do you begin to care for someone who is so sick and can no longer care for themselves? And how do you cope emotionally and physically with all of the new demands that consume your every minute? There are so many questions and fears. What if I do something wrong and hurt her? I have no idea how to administer all the medicine. Your mind just spins at the thought of it all, not to mention what is going on in your heart. To say a time like this is rough is an understatement. But, like heroes swooping in to rescue the ones in need, Comfort Care Hospice showed up at the hospital that day. I honestly don’t remember if we called them or if they were already on the premises. All I remember is they were there. There to offer help to a family that was overwhelmed, tired and broken hearted. Their rapport was kind and sympathetic, and they were ready to start immediately. It was such a relief. We sat around in the small waiting room down the hall from where mom was laying. The director took our names, and other nonessential but necessary information. But, most importantly she listened to our story. How it had all begun and how we had ended up here. Then she began to lift our spirits with hope. Not false hope about our prognosis, but hope for the quality of life that remained. She promised the best of care and much needed emotional support for my dad, who was facing losing the love of his life; and to me and my sisters, who would be losing what we felt was the best mom a girl could ever have. Their words were like a balm to our aching, raw hearts. Days and weeks passed and we fell into a routine. Comfort Care Hospice walked our painful road right along with us. They helped with mom’s personal hygiene, gave short tutorials on how to administer all of her medicines, and, maybe most importantly, had lengthy, meaningful conversations. I can’t tell you how many times I walked in the house to help my dad only to see our assigned Hospice nurse sitting at the table talking to him, tears streaming down both of their faces, listening to him recount the story of the life he shared with my mom. She genuinely cared about what he was saying, and our family. When you are this broken, the love you feel from others is life-giving and our nurse wrapped us up in it. And then the time came; my mom passed from this life into the next. My phone rang at one thirty in the morning and I knew before I answered it exactly what the call was about. My dad told me through gut wrenching tears that mom was gone. I headed over to his house immediately, met my sister and we all grieved together. In the middle of all the messy tears and declarations of love, our Hospice nurse stood with us. She made the necessary phone calls to make sure my mom was treated with dignity and helped us stumble through the logistics of handling the deceased. She helped make a very painful time somewhat easier. I remember thinking later how much sleep she lost that night mourning with us. She never complained or rushed us, she was just there. A solid support exactly when we needed it most. And she continued to be there for a season. She would check on my dad by phone or a quick visit. She and Comfort Care Hospice will forever be regarded as champions in our family conversations. It’s been over a year and a half since all of this happened and we still miss my mom like crazy, but life has taken on a new normal. We could never have made it through all that we did without the help of professionals, and we are so thankful that we chose Comfort Care Hospice. No one ever wants to go through the loss of a loved one, but, at some point we all will. It’s comforting to know that there are people out there who have dedicated their lives to help us cope through these dark days. 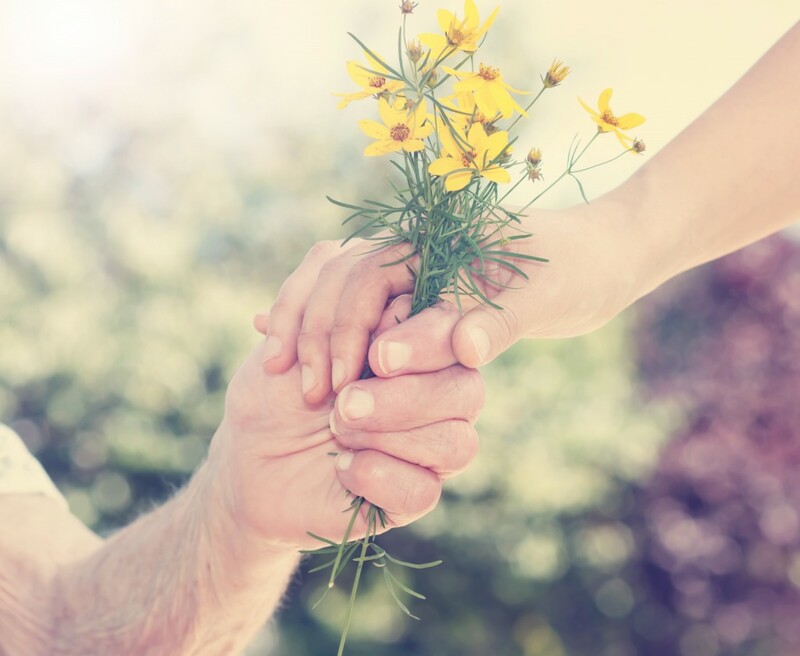 Comfort Care Hospice employees are trained professionals who are ready to offer educated advice and a helping hand. I am so glad they were there for us.